T. M. is Principal of The Fellowship of Ailbe, and Susie manages the bookstore and edits T. M.'s writing. 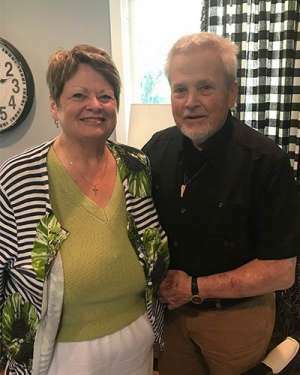 They have been involved in ministry together for more than 40 years, in a variety of capacities including campus and pastoral ministry and theological education. Their burden is to help people realize the presence of Jesus and discover their calling from Him, so that in every area of their lives, they may know His joy and power, and work their Personal Mission Fields for the progress of Christ's Kingdom. I was born in Miami, Florida, went to high school in New York City, graduated from Lipscomb in Nashville, Tennessee, and studied post-graduate at Harding Graduate School of Religion. The best part of college years was meeting Lynne, my wife of 49 years now. God has blessed us with three superstar children—Eve, Todd, and Nathan. They have multiplied the blessing with eight grandchildren to date. I ministered in Bernie, Missouri, Miami, Florida, Cleveland, Ohio, Knoxville, Tennessee, and Nashville where we now live. I made my initial confession of faith and was baptized into Christ at age 18 largely as a result of having godly parents. I cannot remember a time when I was not in and around church and the village of faith. My journey has not been without its trials and sufferings. In my forties and fifties I had left fulltime ministry and allowed myself to disconnect my life of faith from my daily walk, my Sunday and my weekday. Christ did not let go of me; He rescued me from myself. My wife often reminded me “Satan is sifting you like wheat” but your family and Jesus are praying for you. Today I am grateful to accept God’s daily grace and fellowship. It is life. The Spirit has given me back my family and a deep call on my life to help others who need rescuing. I am the founder and director of a non-profit ministry called Next Right Step and a minister of the gospel. Perhaps this is not a biography you would expect from a Fellowship of Ailbe colleague. I only know that “I am not ashamed of the gospel for it is the power of God for salvation” (Romans 1:16). God delivered me from idolatry and the kingdom of darkness and “transferred me to the kingdom of His beloved Son, in whom I have redemption, the forgiveness of sins.” (Colossians 1:12-14). My only boast and surety is the love of God shown to me in the cross of Jesus. His grace and power have enabled me to celebrate 16 years of sobriety. 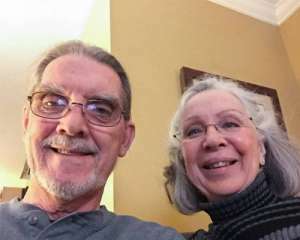 David and his wife, June, have had a great adventure serving the Lord together for the past 43 years of their marriage -- ever since, as new believers, convincing their Methodist minister to baptize them by immersion. They are blessed with a daughter and three sons, who are, respectively, an attorney, a minister, a teacher/writer, and a soon to be law student. They also have (so far) nine beautiful grandchildren ages 10 and under. David was a piano major, but soon became a CPA, a profession he still practices today. He also presently serves as Executive Pastor – Worship & Discipleship at Lilburn First Baptist Church in the suburbs of Atlanta. Both vocations combine and complement one another in a way only God could accomplish. In addition to worship leading, David has a many-faceted teaching and speaking ministry, including a one-man presentation of the Gospel of John. When he’s not working or spending time with family, David can be found either out running or in the gym, or in his favorite chair reading. He is blessed and grateful to be a part of the Fellowship, and believes the best years are still to come! Rev. 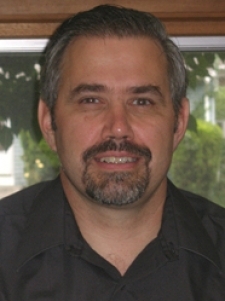 David A. Hutchinson is a church planter at Christ the Shepherd Church (PCA) in Danbury, Connecticut. Frank and Cindy have worked for over 30 years now in Muslim ministry. Frank went to RTS Seminary and is ordained in the PCA. They spent six years in the US working with the PCA organization Church Without Walls to help equip churches to reach out to Muslims. They then lived for ten years in West Africa where they saw a new denomination formed growing from an initial church plant to a growing denomination of 40 churches. Muslim ministry changed dramatically during their service. When they first started it was rare to see Muslims even come to faith in Christ. Now God's Spirit is moving in historically unprecedented ways and churches are being planting and starting to multiply. After living in West Africa they worked for ten years internationally with Muslim background churches. They now work on the development of partnerships that bring together developing churches in the Muslim world, the global church, and other organizations to help fan the flame of what God has started to do. Frank's job is now as Regional Director for Muslim Ministry in Africa. He works on equipping and mobilizing missionaries and national partners and developing new fields and ministries. Frank also teaches and develops courses for training pastors. Frank and Cindy have four children (Elizabeth , Edgar, Ethan, and Esther). I currently live in Southern California and am married to my wife Debbie. We have four children and one grandchild. I spent 21 years in the military in various capacities and I am working on my 17th year in law enforcement. God reached out and got a hold of me while I was in Iraq on a deployment. I now have a passion for working my personal mission field and working out what Christ living through me looks like in law enforcement. 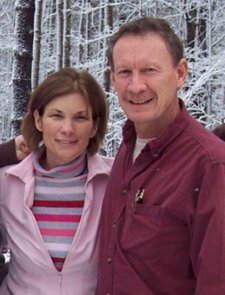 Mike grew up in a church in rural Illinois, but didn’t come to know Jesus as Lord until a junior at the University of Illinois, Urbana-Champaign in 1973. 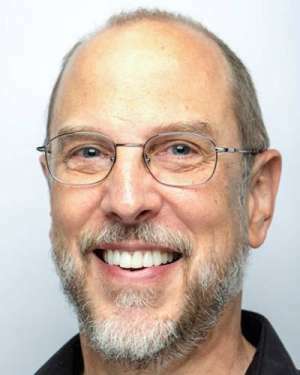 After graduating from Denver Seminary in 1979, he pastored in New York City, did campus ministry at UCLA, and in 1987 wound up back at the University of Illinois to minister to international students. Since that time, he has narrowed his focus to the Chinese community, working with students on the UIUC campus and serving Chinese churches in Champaign, Springfield, and Peoria. 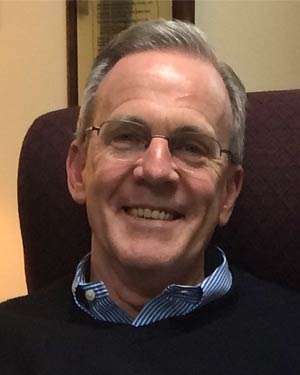 As one of the founders of Urbana Theological Seminary in 1994, he joined the faculty part time as an assistant professor of intercultural studies in 2005. He completed his doctorate in 2012 in a joint program with Highland Theological College (Dingwall, Scotland) and Reformed Theological Seminary (Jackson, MS). 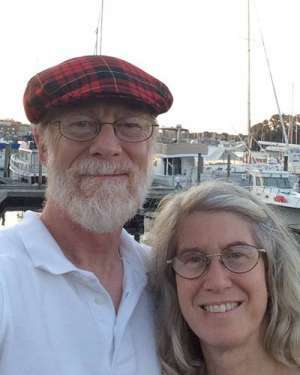 He and his wife Gwynne, have been married 41 years and have 5 children and 3 grandchildren. I am married to Nancy and we have four children (Jenn, C.J., Sam, and Abby). We live in Lakewood, New York which is located in the far west part of the state. I am currently involved with a small inner city church that meets in a room at the rear of a laundry mat. There is an awesome mission field with the children in the neighborhood that we get to provide for their physical needs and spiritual needs. After 30 years in Law Enforcement I recently retired and currently am the Executive Director of a Homeless Mission. I am still involved in Law Enforcement as an instructor at the academy and strive to be a great ambassador for Christ to these recruits. I know that the Lord does have a plan for us and He works in interesting ways that requires our obedience. Like many in the Fellowship, I immensely enjoy working my Personal Mission Field and continue to pray that the Lord opens doors, that I open my mouth and share when possible, and that those I am sharing with open their hearts to the Good News. I am married to Jennifer, with whom I have the joy of marriage and raising our three children. I am the pastor of Salem Presbyterian Church, on the distant outskirts of Gaffney, South Carolina. I am so grateful to the Triune God for His Word, and am eager to see the work of the Spirit at the intersection of that Word and human hearts. To that end, I study, pray, preach and teach His Word, that Jesus' Kingdom may come and His will be done in my neck of the woods. My other passions are classical music (especially the Renaissance and Baroque periods) and the great outdoors. 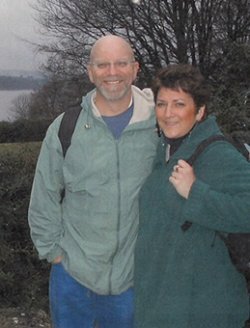 John Nunnikhoven's journey with the Lord began in the spring of 1979, when he and his wife Betty were met by the Holy Spirit during Morning Prayers at a Benedictine monastery in Weston, Vermont. The journey has taken many twists and turns through a variety of different denominations and worship experiences, but one of the major re-directions was when John was accepted into the first Centurions class. 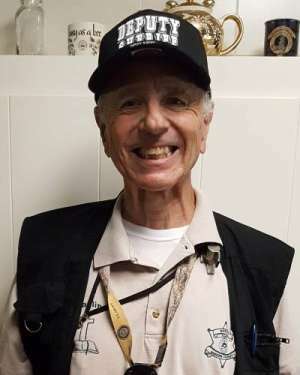 It was through the Centurions Program that he was introduced into a fellowship of like-minded believers seeking to live out their faith in all aspects of their lives. Life since commissioning has been anything but the American retirement dream: prison ministry, working to integrate ex-inmates into society, using their home as a halfway house, publishing a daily meditation on the Psalms, publishing a devotional based on those meditations, teaching BWV to civic, political and church leaders, working in the restorative and reparative justice areas, and mowing the grass. And now, there has been another re-direction as John is accepted into membership in The Fellowship of Ailbe and has begun working toward what, Lord willing, will become a re-awakening of the Church as a body directed into living the Kingdom in the here and now as it awaits the yet to come. Jesse Slusher and his wife Lynn experience God's grace in Quincy, Washington, where they are in their 20th year of serving and pastoring Faith Community Church. They have four children, two still at home, and three grandchildren. Jesse once took a spiritual gifts assessment and scored highest in "missionary," so he considers himself a missionary to his community and pastor to the people he serves at Faith. Besides preaching, counseling, and other general duties of a pastor, he works with the church youth. They are developing a youth intern program to get the youth more involved in the life flow of opportunities and leadership within our local church and in the mission field. We run a Celebrate Recovery program weekly and have a strong emphasis on small groups. Faith Community is not part of a denomination, though Jesse is a member of Ministers Fellowship International, which provides accountability, covering, and relationship. The church is evangelical/charismatic/reformed in its flavor, ministry and doctrine. They have strong relationships with other Bible believing churches and pastors in the city, and cooperate in united prayer and worship regularly. 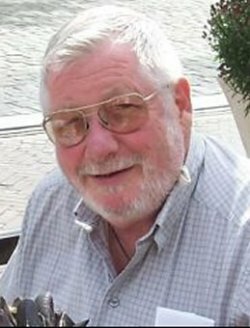 Jesse's other interests, passions and joys include his grandchildren, hiking, writing, gardening, and art. Sam is a transplanted Southerner who moved to northern California during grade school. Although a church-goer, it was during his first year in college that he sensed something not right with his soul. Through friends who invited him to a Christian college ministry, he was challenged that faith in God included becoming a "follower" of Jesus along with accepting His offer of forgiveness. In John 8:31, he read, "If you abide in My word, you are My disciples indeed. And you shall know the truth, and the truth shall make you free." In the summer of 1972, while sitting on a beach in Florida, Sam asked Jesus be the Lord of his life, and from that point, God began unfolding his life's purpose. 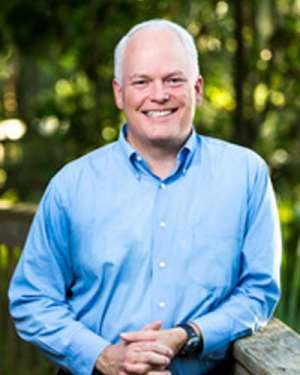 Sam serves as the managing editor of the Worldview Church. 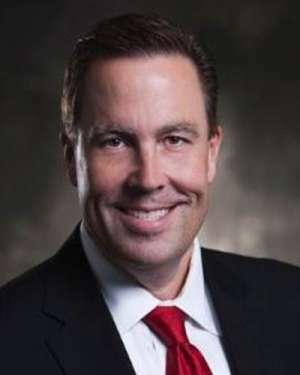 He has been an Evangelical Free Church pastor for over twenty years and is a graduate of Cal State University (BA), Denver Seminary (MDiv) and Trinity Evangelical Divinity School (DMin). His Kingdom missional focus is to provide training to evangelical leaders to see relationships covenantally and live accordingly. 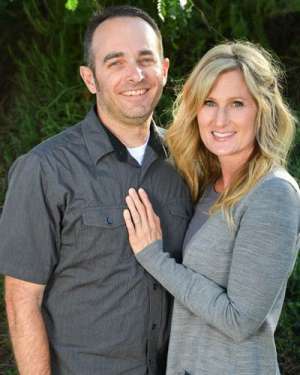 He lives in beautiful northern Michigan with his wife, Meredith; they are the parents of five children. My name is Dale Tedder and I am the Minister of Discipleship at Southside United Methodist Church, in Jacksonville, Florida. I am an ordained Deacon in the Florida Conference of the United Methodist Church. Part of my calling is to proclaim the faith of the church, teach God’s Word, lead others into Christian discipleship, and help those disciples understand their calling to serve others and bear witness to the world on behalf of the Lord Jesus Christ. To borrow an overused word, I am passionate about helping men come to know Jesus Christ as Lord and then serving them as they move forward in becoming all God has created, redeemed, and called them to be. Assisting followers of Christ in understanding that God has called them to take their faith into every sphere of their lives is also a vital part of my calling. My wife and I have four children… and we cheer for the Georgia Bulldogs. Please check out my online ministry at DaleTedder.com. A career freelance artist, I am currently traveling the country, visually capturing content in meetings and conferences. You can see samples of my work on my website: www.brucevanpatter.com. In between trips, I work on projects in my studio in Central PA, where I live with my wife and daughter. She is the last of our four children and is heading to college in the fall, making us empty nesters after 33 years of active parenting. A new chapter is about to begin! I have two great areas of passion: creativity and communication. Those come together as I seek to inspire others to see their walk of faith as a journey. As God clarifies my understanding of my calling through the Fellowship of Ailbe, I hope to be able to encourage others to press on, break out, push through into a dynamic experience with Jesus. One of the ways I’m striving to do that is through my column on the Ailbe website, called 8:18. It’s an effort to improve my ability to be aware of my surroundings and to let those observations lead me to pray. Currently live in Harrodsburg, KY with my wife of 54 years, Charlene. We have four children, six grandchildren, one great-grandchild. We have a small farm that I raise black angus beef for family consumption. My passion for the Lord has led me into prison ministry. I am a Deacon at The Carpenter's Christian Church and prison ministry is my ministry to lead. We presently are a pilot program and the only active Prison Fellowship Ministry in Kentucky. The third year class is in progress. Following the submission of much data and several interviews PFM Faith-Based program has gained significant recognition within the KY DOC resulting in inmates who complete the program receive 90 days special consideration. The state has made this retroactive for the previous classes. This is the only faith based program to have this status in KY and expect it to expand the next enrollment, as well as be instituted in several additional prisons. TCCC is also in the process of live streaming it's 8:30 AM Sunday service to the chapel of the Northpoint Training Center, a 1250 inmate prison.